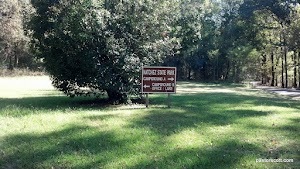 There are two campgrounds at Natchez, MS State Park (plus a primitive camping area and a cabin area). 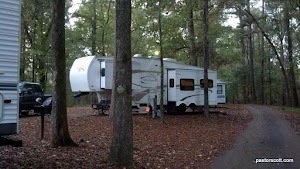 We stayed in the newer Campground B a couple of years ago and liked it very much. Our stay this time was in the older Campground A, we like it too. Campground A has the only full hookup sites in the park and there are only six of them. Not only that, but it appeared to me that three of those were taken by long term campers. I’m not sure how that works in a state park, but I remember seeing at least one other long term setup in the newer campground a couple of years ago. The full hookup sites are all back in but between two one way roads in and out of the campground. The sites are level, reasonably spaced and concrete slabs. The other sites in Campground A are water/electric only. Some look like they would be okay for bigger rigs, but there are others that would be a tighter fit. 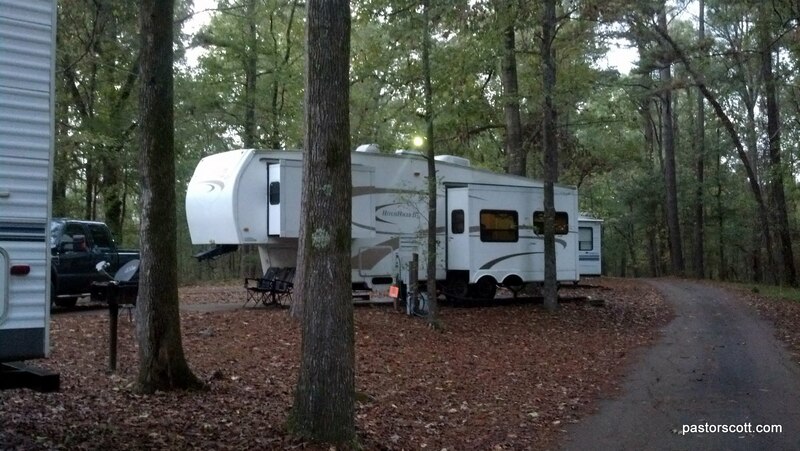 I could get my 5th wheel into the lower part of Campground A but I don’t think I would like doing it very much. 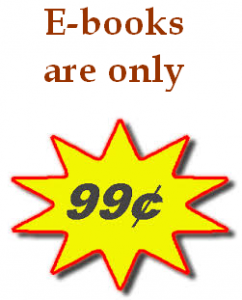 Our 2013 Review – focused on Campground B – is here. Getting to Campground A is an experience all in itself. As I mentioned in my 2013 review, to get to this state park one turns off of Highway 61 onto State Park Road. You will wind your way past several buildings that are at the falling down stage right on a pot-hole filled road. In a few minutes you come to a sign instructing you to turn left off of State Park Road if you want to go to Campground B and the main offices. Otherwise, you continue down State Park Road to the entrance to Campground A. The rough road only gets worse as you come, but it’s only a mile or so to the campground entrance. The back in, full hookup sites are right there. You could get into this campground from the main state park road (not to be confused with the road I just described “State Park Road” – how’s that for confusing!). However, that way into Campground A is via a narrow road just wide enough for one vehicle down and through the lower part of Campground A. Then, once you get to the row of full hookup sites you are going the wrong way with no place to turn around! Needless, to say, you don’t want to do that, so approach Campground A on State Park Road and not the road into the rest of the park (I know, confusing). I managed to get most of my satellite TV channels but it was a challenge. Had it not been fall with the tree leaves thinning out, I doubt I would have had any success at all. My Verizon 4G was a fairly good 2 bars. 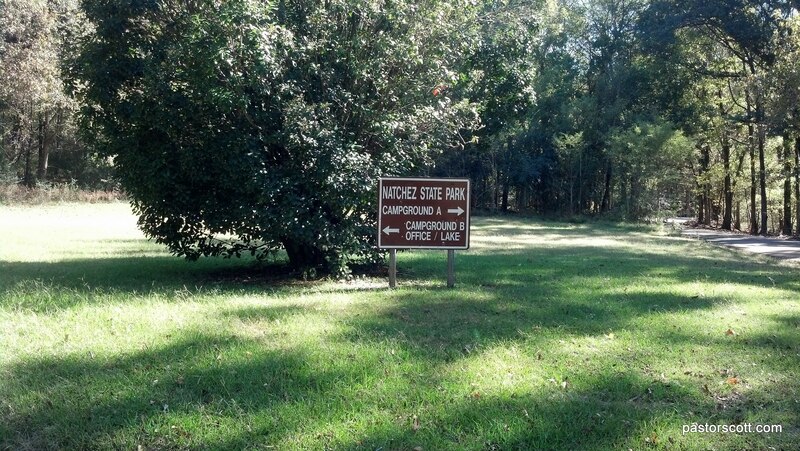 Now that I’ve stayed in both campgrounds at Natchez State Park I think I’d go for Campground B for shorter (no sewer hookup) stays and Campground A for longer stays, and that only if I could get a full hookup site.